A war with North Korea would involve the mobilization of that country’s entire population and the activation of at least 1.2 million active-duty soldiers and 7.7 million reservists. North Korea would then implement plans which the regime designed to fight — and defeat — U.S. forces on the battlefield. This does not mean North Korea would succeed. One of the biggest problems the North Korean army faces is lack of ability to sustain itself — particularly in terms of fuel, which would limit the ability of its tanks and other armored vehicles to advance south of Seoul, the South Korean capital, unless North Korea were able to capture fuel stockpiles along the way. 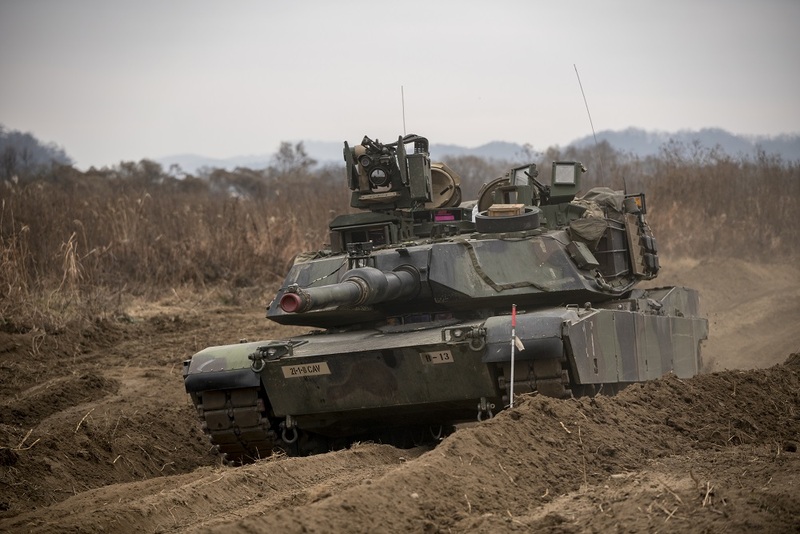 But the U.S. military still takes North Korea’s own battle plans seriously, particularly its reliance on artillery, and does not assume that North Koreans are unwilling to fight, according to a March 2018 threat tactics report from the U.S. Army’s Training and Doctrine Command, which designs the Army’s operational doctrine. The document, posted to Public Intelligence, is an interesting look at how the U.S. Army anticipates North Korean tactics, organization and weapons — down to illustrations of offensive maneuver plans which the Korean People’s Army, or KPA, is likely to implement. North Korea would primarily rely on its 27 infantry divisions and 14 infantry brigades which exist in the active-duty army alone, compared to a single North Korean armored division and 15 brigades. The U.S. Army sees North Korean infantry division as its primary threat and not to be underestimated. North Korea’s primary target is not the U.S. and South Korean front-line units, which are well-trained, well-fed and possess superior firepower. For this purpose, North Korea has organized tens of thousands of special forces soldiers trained to infiltrate behind allied lines. This means the U.S. Army and South Korean soldiers will likely have to fight in two directions. North Korean doctrine relies especially heavily on artillery — more than 14,000 pieces — and TRADOC estimates that chemical weapons could comprise 20 percent of the rounds fired during the early stages of a war. North Korea sees U.S. and ROK tanks as its biggest threat, an area where the KPA is extremely outmatched. The report describes KPA anti-armor tactics as constructed around “engagement areas” — what the U.S. Army terms kill zones — targeted by heavy amounts of artillery fire. The KPA borrowed this tactic from the Soviet army during the Cold War. Secondly, the KPA studied the U.S. Army in Iraq and Afghanistan and adopted lessons for its own special operations troops, removing the tanks and artillery from seven infantry divisions and giving them “specialized training to operate in urban and mountainous terrain using unconventional warfare tactics and techniques,” the report states. TRADOC pays close attention to how the KPA would try to clear mountain passes — first, by infiltrating around them with light infantry to attack from the rear, thereby pushing the defender’s reserves closer to the main force. As the defender’s main force falls back into the pass by the main KPA attack, they are caught in a vice and shot at from more North Korean infantry in the hills and mountains above. “U.S./ROK units will need to simultaneously defeat the KPA divisions attacking their combat units, while defending all units from KPA [special-purpose forces] or stay-behind forces in their rear areas,” the report states.